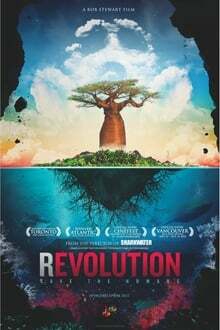 Revolution is a new movie from internationally-acclaimed filmmaker Rob Stewart. A follow-up to his award-winning documentary Sharkwater, this continues his remarkable journey of discovery to find out that what he thought was a shark problem is actually a people problem. As Stewart's battle to save sharks escalates, he uncovers grave dangers threatening not just sharks, but humanity. In an effort to uncover the truth and find the secret to saving our own species, Stewart embarks on a life-threatening adventure through 15 countries, over four years in the making. In the past four years the backdrop of ocean issues has changed completely. Saving sharks will be a pointless endeavor if we are losing everything else in the ocean, not just sharks. Burning fossil fuels is releasing carbon dioxide into the atmosphere; changing the oceans, changing atmospheric chemistry and altering our climate.